Deirdre is a solicitor in the healthcare team at Hayes Solicitors. 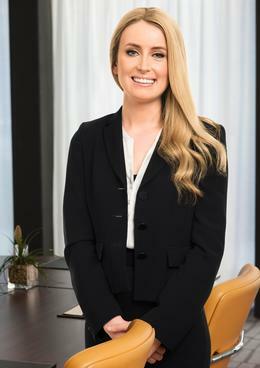 She works primarily in healthcare litigation, defending medical negligence claims taken against hospitals as well as against individual medical and dental practitioners. She also advises on healthcare non claims issues. Deirdre joined the firm as a trainee and qualified as a solicitor in January 2017. Experience defending cases arising from a wide variety of medical and dental scenarios such as missed cancer diagnoses; orthopaedic injuries; nerve injuries; and gynaecological injuries. Works as part of a team defending high value catastrophic injury cases including cerebral palsy and brain injury claims. These cases involve comprehensive investigations into the complex issues of liability, causation and quantum, and careful management of the practical procedures involved in running complicated litigation. Advising on medical and dental law – Deirdre has specific experience in representing and advising individual medical and dental practitioners in all aspects of medical law. She has provided advice on a variety of medico legal, ethical, risk management and data protection queries. In what circumstances can patient confidentiality be breached?